GJX premiered in 1994 with only 35 booths and became the fastest growing gem show in Tucson’s gem show history. GJX now boasts nearly 700 booths. 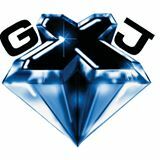 GJX is held in a 120,000 square foot ultra-structure that is fully carpeted and climate controlled. Plans are presently underway for the expansion of our exhibition facility. We offer the same amenities found in many of the shows held in permanent facilities, such as a food court, coffee bar, and fax and copy service, along with a helpful, friendly staff. We also offer spacious aisles for the convenience of our buyers. Armed, off-duty Tucson Police personnel are on-site 24-hours a day and a merchandise lock-up is provided to the exhibitor at no extra charge. No children under the age of 14 are allowed, including infants.